Home Encouraging Will It Be A Yes Or A NO? Will It Be A Yes Or A NO? 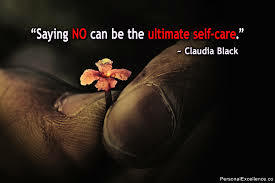 Many people suffer terribly simply because they can’t say No. There are so many sources of power on this earth, there is the power of awareness and the great power of wealth but nothing compares to the overwhelming power that allows you to be king of your own life, and that power rests in the tiny little word that we spell N O. The challenge is that you must learn how to develop it’s language and most of all have the courage to use it. You learn to say No by understanding how and why a crafty world wants you to say yes. People want your yes as a first step toward getting whatever else they want from you. This is not cynicism, this is plain fact. Cunning people will always mask their personal greeds with fancy phrases and pleasant smiles. Does the hungry wolf ever tell the three little pigs what he is really up to? It would be worth your while if you asked yourself, ‘why do so many people want me to agree to their offers, and why do I always feel like I need to say yes’? People will use a lot of tricks to prevent you from coming back with an answer of No. They will try to make you feel guilty, they will question your loyalty, they will string stories a mile long, they might plead, cry, lie, accuse, pretend, whine and best of all promise you the world if you could just say yes! It might be easy to see how your affirmative answer of yes has created problems for you in the past, if you look back. How much easier life would have been if you had just said No! You can’t take back all of those yes’s that have long been used up, but what you can do now going forward is empower yourself and recognize what situations you really should say No to. It will feel strange at first switching from yes to No, but the strangeness will fade away naturally. Guilt will be the worst to contend with, but remember all of the negative emotions that you feel only come from your Ego, your unconscious mind. It is important to learn and escape from self-defeating behaviours in small ways first. You might be nervous at first, change as we know isn’t easy for us humans, but when you know you want to say No, just do, do what is right for you. Saying No to situations that intuitively don’t feel right will give you your life back. Realizing that learning to say No is a pleasurable adventure, one that invites the kind of day that you really want to live. Allow yourself to enter the new world of true spiritual wisdom, let the power of No guide you to that world.